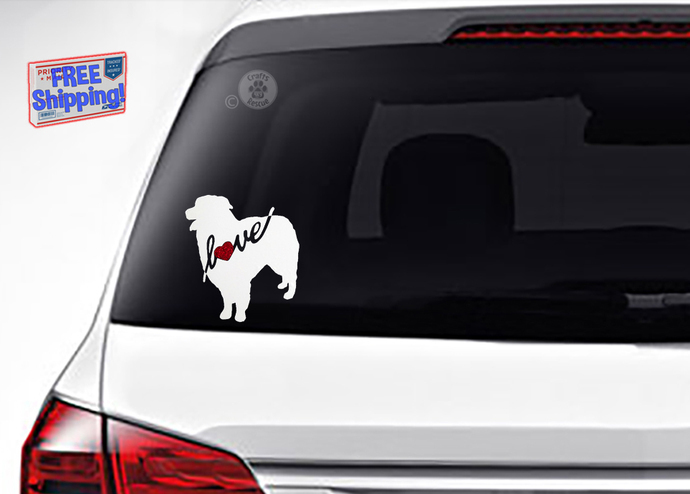 Available in two sizes and varieties, our SMALL Aussie Love decals are 2.5" wide x 3" high, the LARGE Aussie Love decals are 3.5" wide x 4" high and both are available with, or without, the shimmering red heart. These decals are made of permanent adhesive backed sign vinyl that is flexible, durable, resistant to sunlight, and has a rated outdoor durability of 5 years. (Custom sizing and other vinyl colors also available, contact us). 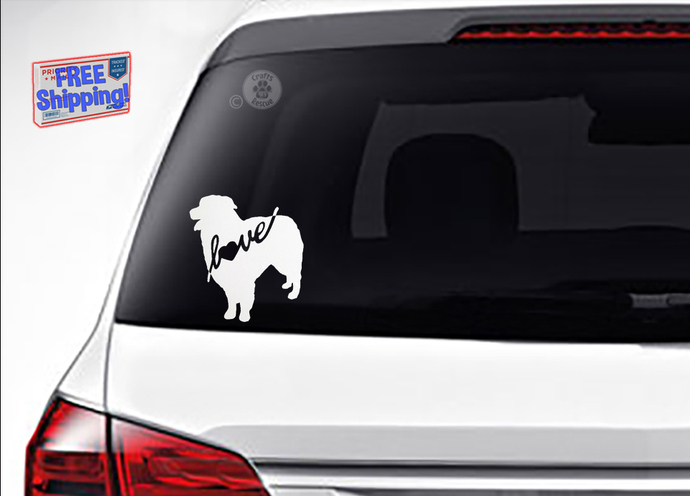 NOTE: This listing is for one (1), matte white, exterior grade vinyl decal as shown in the photo(s), in either small or large sizes and with or without the shimmering red vinyl heart.